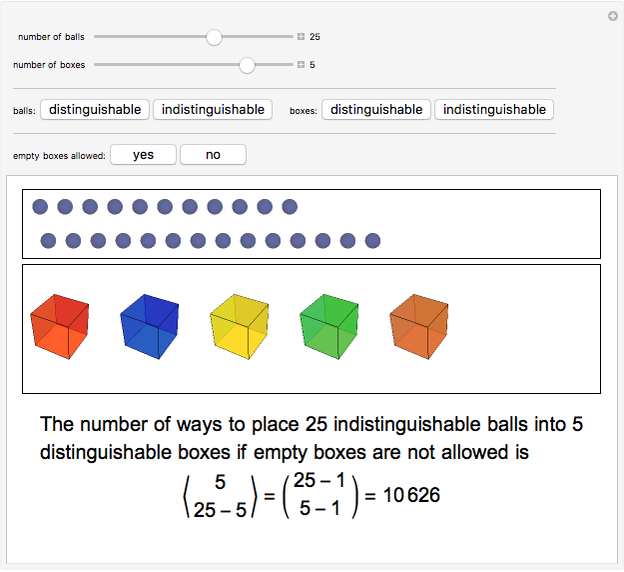 This Demonstration provides the answers to a variety of questions of the type, In how many ways can balls be placed into boxes? 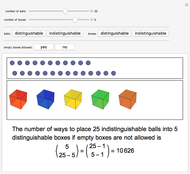 You can vary the number of balls and boxes. 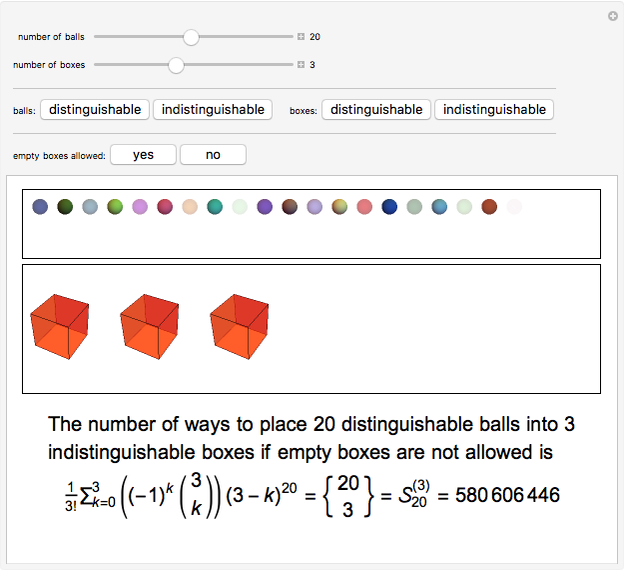 Options include distinguishable or indistinguishable balls, distinguishable or indistinguishable boxes, and whether or not empty boxes are permitted. Notation follows Martin's text . 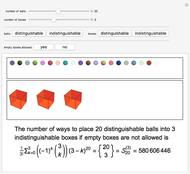 In particular, stands for the number of integer partitions of into exactly parts. 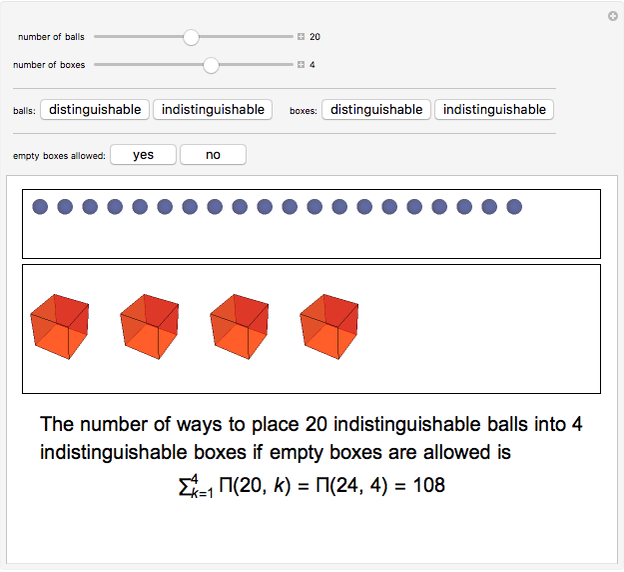 G. E. Martin, Counting: The Art of Enumerative Combinatorics, New York: Springer-Verlag, 2001. 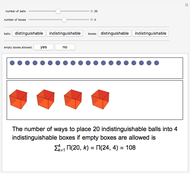 Marc Brodie "Arranging Balls into Boxes"